Happy happy birthday to the one and only Darell, my crazy boyfriend! He is finally 22 years old and this is my 5th birthday with him! It still blows my mind that I have known him since he was 17 years old. Even though it's weird, I absolutely love that I have gotten to grow up with him in a sense over the past 4 1/2 years. 1. While some people are just meeting those special people, you have been with your person for a few years now. This is a huge one for me because so many people at my school meet and marry within a year or so (sometimes months) of knowing each other. I think that it is so special for me that although I haven't known Darell my whole life, knowing him from a younger age just makes me feel special that I've known him for so long. 2. They are there for some major life events. Darell was the first person to let me drive behind the wheel of a car (before we started dating). Although I couldn't be there for his, I was around when he graduated high school, and he was there for me when I graduated from mine. He was the first person I told when I found out my grandma had passed away. He was there when I got the call saying I got into the school I go to now. I remember telling him when I got my driver's license. I was there when he turned 21, and so on. It just comes with the time frame. When you grow up with your significant other, you are naturally going to be around for some of the biggest and most life-changing life events in their lives. And of course, they'll be around for yours as well. It's a great thing to experience. 3. You lose track of time. It sounds really corny, but it's true. Sometimes Darell and I will look at each other and it will suddenly hit us that we haven't known each other our whole lives or that it has already been almost 5 years that we have known each other. It's a good thing because you are so close to that person that you two feel like you've known each other forever, even if you haven't. 4. Well, you grow up. Duh. This one is obvious, but to be more specific, you two literally watch each other grow up, like physically. If you met when you were still awkward looking, they've gotten the chance to see you (and love you) through all of that until you've grown into the wonderful person you are today. Darell has changed his style of dressing and I've started using makeup. I met him when he still had wire-framed glasses and he met me when I wore no makeup and had my cheeks covered in acne. 5. You get to watch them grow and mature in more ways than one. This, by far, is my favorite part about growing up with my significant other. I've been reflecting a lot lately on both of our attitudes on different aspects of our lives when we first started dating and how we are now, and I cannot believe the progress sometimes. From growing up with Darell, I've seen him become more responsible and mature a bit in certain areas of his life. I think back to how he was even a year ago and I'm in awe of what has changed. 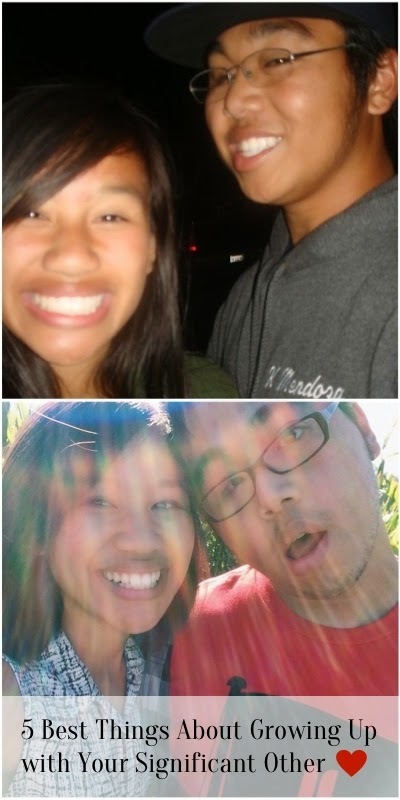 Whenever I think back to one, two, three, or even four years ago, I see how we both were as individuals and as a couple back then, just two weird high school kids from church. Then you look at us now, young adults working towards their college degrees and figuring out what they are going to do for the rest of our lives. I'm just so thankful for everything that we have overcome up until this point. I'm so excited to celebrate with Darell and his family today! After this year, I won't be able to count the years on one hand. What a blessing. Did you grow up with your significant other? If not, how and when did you meet that special person? I loved this! I'm in the exact same situation - we started dating when I was 16 and we've been together almost 4 years now. You're exactly right about all of it. 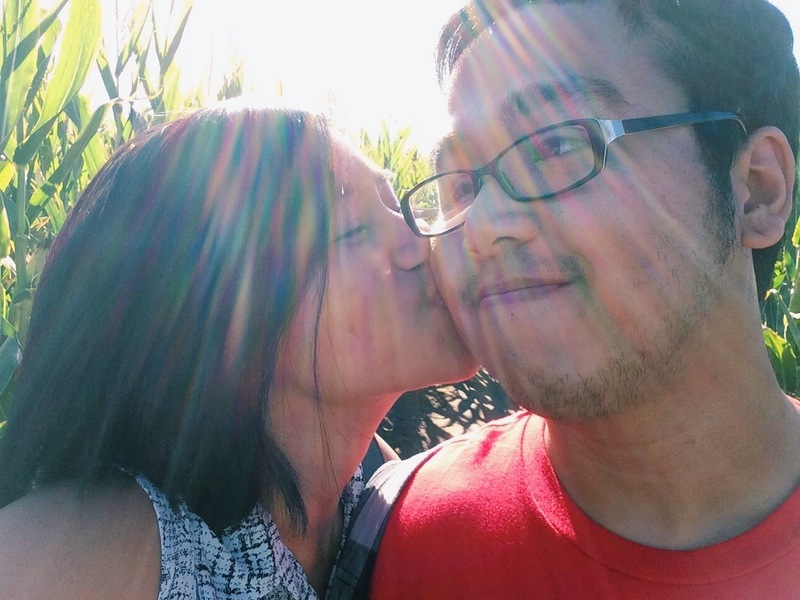 It has been amazing to see both of us grow and change, and there is something really meaningful about knowing that the person who loves you now also loved you when you were super awkward and looked different. It's like "Well if they stuck with me through THAT..." lol but seriously, I love having grown up with the person I'm with, and I wouldn't change anything. Thank you! And that is great! It's a fun journey! Aww, how sweet! Isn't it great? It's always crazy to look back and think about what that person really has seen you through. Thank you for sharing a bit of your relationship with me, Tay! I've been together with my boyfriend for over a year now. I'm a year older than him so he missed my college graduation, but I got to go to his, spend thanksgiving with him, and he just moved in with me. So, we didn't have too many major events yet, but he is in grad school now so I get to be with him on his adventure into student teaching and then, by June probably graduation/moving!! Which is big, exciting, and a little nerve-wracking! He's also 22!